I loved doing baby signs with my son. They helped him learn to communicate 5 months before he started talking. I believe that baby signs cut down on his frustration, and gave him an opportunity to tell us about his world long before he had words to do so. We mainly did the classes but used the starter kit at home as a reminder of what we were doing in class. 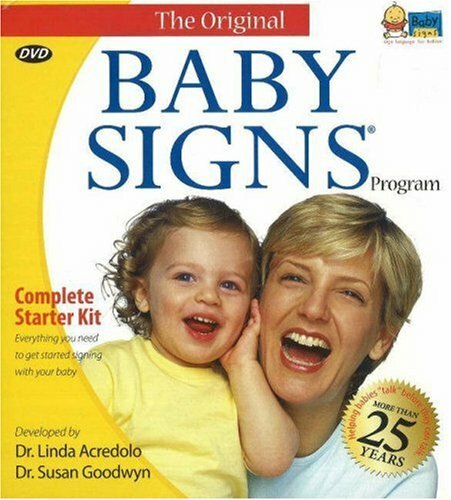 Which was wonderful as he started to learn 5-10 signs a week and his poor parents were having trouble keeping up. I love this idea. Enabling communication helps little ones develop.